This park is unlike any other in Philadelphia. 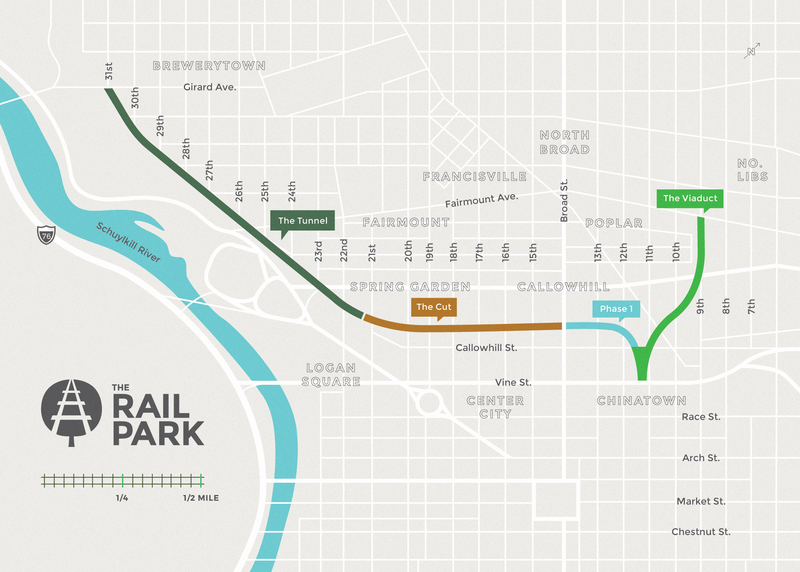 The Rail Park is a vision that’s revitalizing three miles of unused rail lines into a usable, beautiful, public space for all. The first phase is complete—filled with pathways, greenery, and bench swings with amazing city views. is the first 1/4 mile section of the Rail Park. Free, pet-friendly, and open to the public. Two entrances: a wheelchair accessible entrance at Broad & Noble and a staircase on Callowhill between 11th and 12th. A three-mile public park with three sections: the Viaduct, the Cut, and the Tunnel. The railroad company that once helped build our nation. 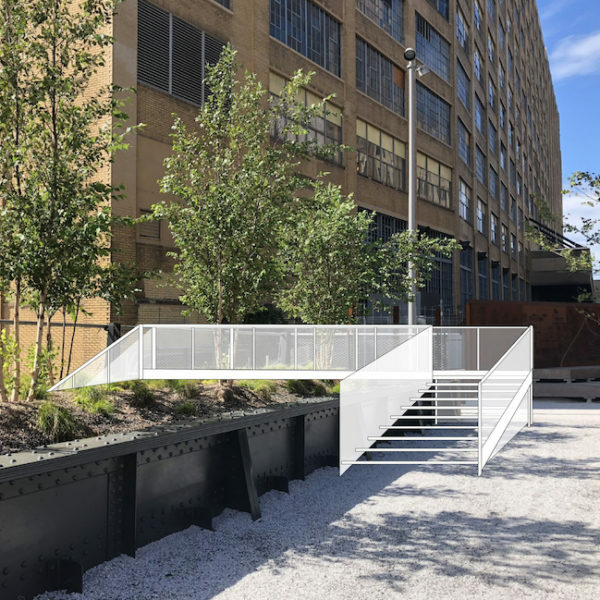 The Rail Park is situated on two obsolete train lines that served the Reading Terminal, bringing passengers and freight in and out of Center City. The “Baldwin Bridge,” which spans the Cut between 16th and 17th Street, was used for locomotives to ramp down into the Cut after their final stop on the Baldwin assembly line. The bridge is the only remaining Baldwin structure. Looking north at what is now the site of the Inquirer and School District buildings. Broad Street, between Callowhill and Noble, is a bridge under which Reading trains ran before ramping up on the Viaduct along Noble Street. Baldwin’s factories spanned from Broad to 18th and Spring Garden to the Cut, with the exception of the US Mint. The trains coming down the Cut supplied Baldwin and scores of other manufacturers with coal for power and raw materials for manufacturing. At the turn of the 20th Century, Baldwin Locomotive Works was one of the largest manufacturing facilities in the world during the time when Philadelphia was known as "The Workshop of the World." The west end of the tunnel has two entrances. The tracks on the right are still in use and that rail line curves under Eakins Oval and comes out along Schuylkill Banks. The Tunnel was extended one more block since this c.1930 photograph. In the 1910 Census, the United States lists 264 manufactured articles. Philadelphia manufactured 211 of them. Soon after, automobiles were added to the list. Ford, Packard and Hudson all had facilities along N. Broad Street. The 1898 Keystone in the entrance arch of the tunnel marks the date of the first subway in America. The Tunnel was created as part of the City Beautiful planning that created the Benjamin Franklin Parkway from City Hall to the Philadelphia Museum of Art. This 1919 photo shows the Museum of Art under construction in the distance.